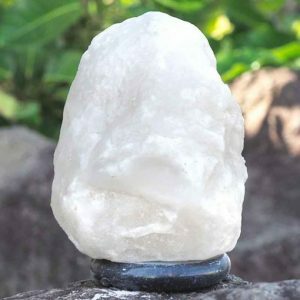 View cart “Himalayan Salt Lamp 3-5kg” has been added to your cart. 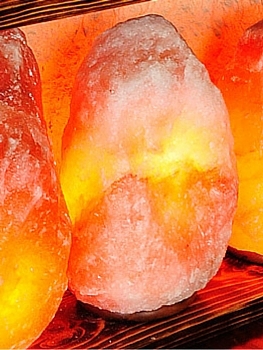 100% Himalayan rock salt lamp weighing between 2kg – 3kg. 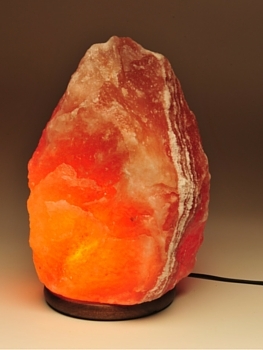 Colour may vary from light pink and orange to dark red, every salt lamp has its own unique shape. Glows with a delicate amber light while cleansing your air naturally and enhancing it in negative ions. Salt lamps release negative ions to cleanse and improve the quality and freshness of the air, that makes the salt lamp great for rooms with lots of electrical appliances. Salt lamps also remove impurities from the surrounding air by attracting the moisture in the air, which are carrying impurities such as pollens, dust and tobacco. When these particles hit the salt lamp, it binds them together and consequently they become more dense and cannot travel back out into the air therefore fall to the foot of the lamp. The air is then repelled back into the atmosphere much cleaner. 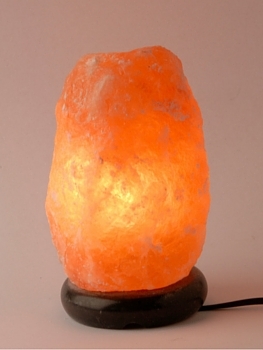 The beautiful glow makes salt lamp great night light for babies nursery’s and bedrooms. Each salt lamp set in a timber base and includes a cable with power switch and a light bulb to suit.